The satellite and the space rocket, the first nuclear power plant, Mendeleev’s Periodic Table and the first electric tram. Russia’s status as one of the world leaders in science and technological inventions dates back to, at least, the 19-th century. Russia is also well known for its academic prowess and for having one of the highest literacy rates in the world. But in spite of Russia’s impressive academic and technological credentials, daily life in the 21-st century is still very much ruled by superstitions. Russia is a very emotional country and, in many ways, Russians consciously choose the emotional and superstitious over the rational in life. I have to admit that after 16 years in Russia, I have also started to adapt my daily life according to a number of these superstitions, although I was once born as a rational and level-headed Dutchman. There are superstitions that deal with luck, money, relationships and marriage, as well as drinking, quite obviously, and many other things in life. Some of them are hard not to notice. For example, whistling will cause money problems and any Russian will immediately urge you to stop whistling. Shaking hands, kissing, hugging or greeting someone across the doorway should also be avoided at all cost! When the threshold of a doorway divides people during a greet rg, it will bring about a quarrel. Ladies, don’t put your bag on the floor because that also means you will not have money! And by the way, to those ladies who are not yet married, after you have taken care of your bag, don’t sit down at the table facing the table’s corner or you will stay unmarried for seven years! If by accident you step on a Russian’s foot, don’t be surprised if he or she will step on your foot in return. This is done to avoid a quarrel that would have otherwise surely materialised. 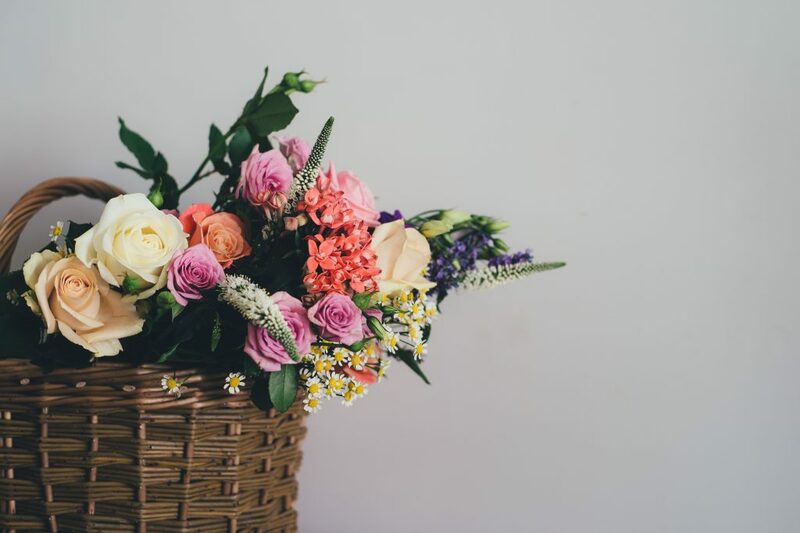 When giving flowers, always make sure to give an uneven number of flowers, unless it is for a funeral, where an even number of flowers is given. And if you want to break up with a lover, then giving yellow flowers is a fail-proof method to cause an argument and end the relationship. If your nose itches you, better be aware as you will have a drink (see the previous article on Vodka drinking), get into a fight or faII in love. And if the itch leads to a sneeze, while you were saying something then what you were saying, or your last thought, can’t be anything but the truth. If, however, your ears itch, have a look around the office, because someone is saying bad things about you. If уou have forgotten something, and have to return home after having closed the door behind you, bad luck awaits you. However, this situation can be averted by looking in the mirror before leaving your home the second time. But make sure the mirror isn’t broken! If you leave on a big trip you will need to sit down (preferably on top of your suitcase) before leaving and be silent for a moment. Also, a drink is often drunk ‘na pososhok’ (one for the road) in order to guarantee a safe trip. However, bearing in mind that the average Russian usually doesn’t limit himself to “one” for the road, this habit may actually increase and not decrease the risks of the trip. If you have bought something new (from a pair of shoes to a car or a house) you need to ‘obmiyvat’ (wash it over) by – what a surprise! – drinking something alcoholic. In the case of a pair of shoes, this can be a glass of champagne. But in the case of a car, this can involve some more extensive drinking (please refer to the previous article on Vodka drinking). This prevents the item from getting damaged or stolen and ensures that the item serves you well. It is not known if the amount of alcohol consumed is directly proportional to the amount of protection provided, but Russians tend to drink imore than enough, just to be on the safe side. As a resuft, the cost related to the drinking often exceeds the value of the purchase. One of the scariest superstitions is the ‘Sglaz’, comparable to the ‘evil eye’ or the ‘malocchio’. The Sglaz is a negative influence of one person on another on an energetic level. A Sglaz can happen consciously and subconsciously. Causes for the Sglaz are usually jealousy, egoism and greed. A very strong Sglaz is like a curse. Some of the symptoms of a Sglaz are laziness, sleepiness, irritation, bad luck and regular nose colds. But then again, if one were to go by this superstition, then every second expatriate and just about every Russian suffers those symptoms (one Russian friend suggested you get the Sglaz automatically, at passport control in Sheremetyevo international airport), so maybe the Sglaz is not so dangerous after all. More importantly, never wish a Russian good luck; this may also invoke the evil eye (shtob ne sglazit). It is better to wish someone ‘neither down nor feathers’ (ni pukha ni pera), this started as a hunter’s ritual, meaning may he return unsuccessful. The appropriate response to this is ‘go to the devil’ or ‘go to hell’ (kTchortu). Also, gifts are not given before a person’s birthday. And if, in this labyrinth of dangers, you ever feel lonely, then know that a whole army of creatures accompanies your every move. First of all, you have a Guardian Angel (Angel Khranitel) standing on у our right shoulder. The nemesis of у our Guardian Angel is the Devil (Tchort) who is lounging on your left shoulder. Is there something you think you misplaced in your apartment or you can’t light a match? Then that is your Oomovoi at play. У our Domovoi is like a good house spirit (imagine something like a gnome or troll); although he protects the house and its occupants, he can sometimes be a little mischievous and break stuff or bide your keys. Most likely, when you have to return home to pick up something you forgot, it is your Oomevoi at play and he will be laughing, while you look into the mirror to ward off the badl luck before you leave your home the second time. Ever saw a Russian spitting over the left shoulder and emitting a sound that goes something like ‘tfu tfu tfu’? Remember this and learn to copy the gesture and sound! This is the antidote for all the bad stuff that can possibly happen to you and if you want to get through у our stay in Russia in one piece, the ‘tfu tfu tfu’ will serve you better than a Lloyd’s insurance policy. And why spit over the ‘left’ shoulder? That is where your Tchort was lounging about of course! A book could be written about Russian superstitions, but this short article should get you through your first year in Russia. The rest you will find out along the way, with a little help by your Guardian Angel.